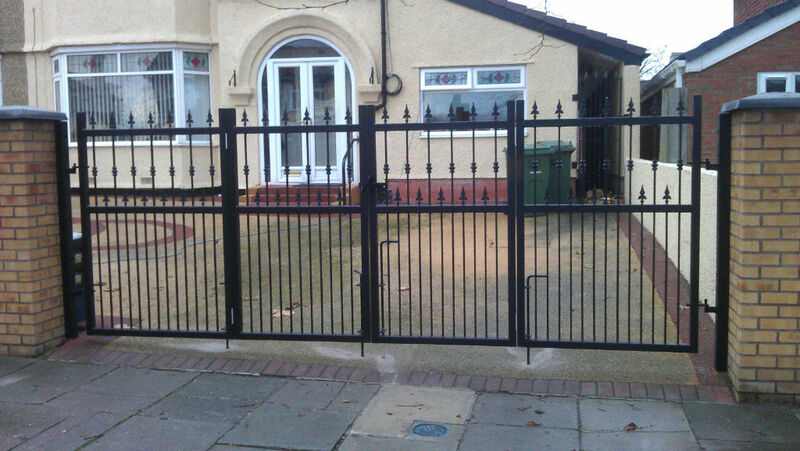 Single gates can vary from all different shapes and sizes, modern or traditional. 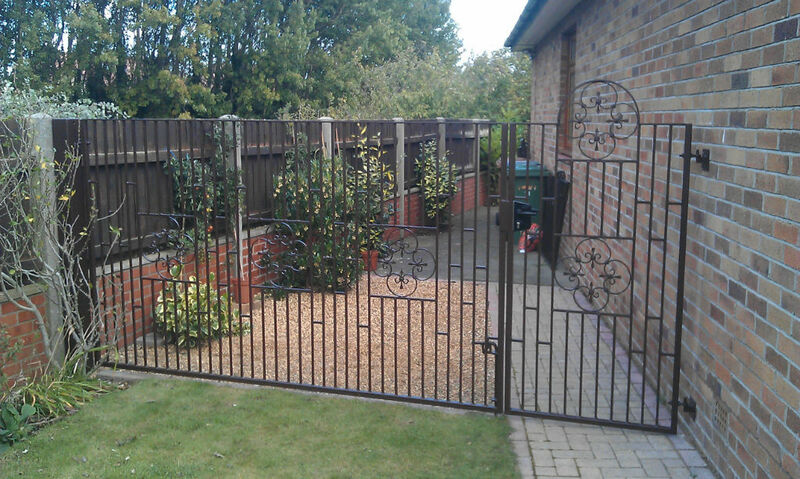 Double gates can vary from all different shapes and sizes, modern or traditional. Bi Fold gates can vary from all different shapes and sizes, modern or traditional. 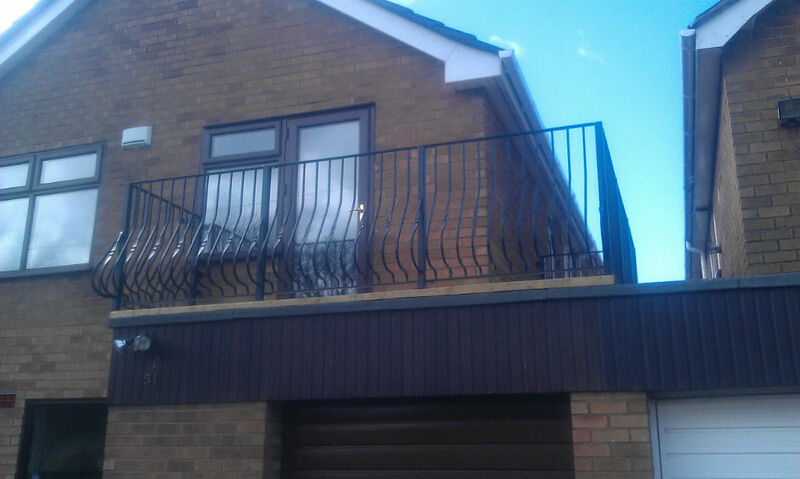 Each railing is bespoke to the individual client with so many designs to choose from. 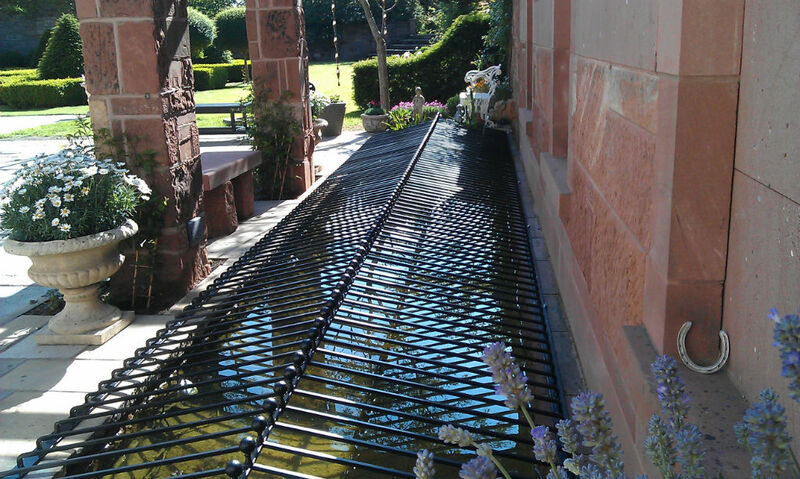 We've been making Wrought Iron Products now for over 40 years. 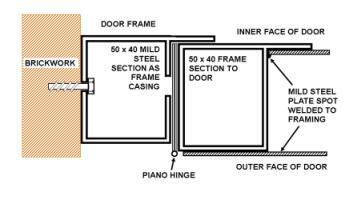 Our retractable security gate system is a stylish solution for protecting windows and doors. Our mesh pond covers are designed for ponds up to a maximum of 8 feet x 4 feet. 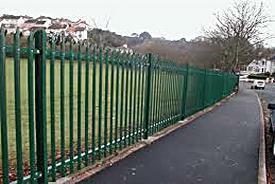 Renroh Palisade Fencing provides excellent protection against climbing and cut-through. 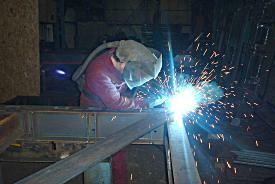 Renroh can provide a comprehensive on-site welding facility, based on many years experience. 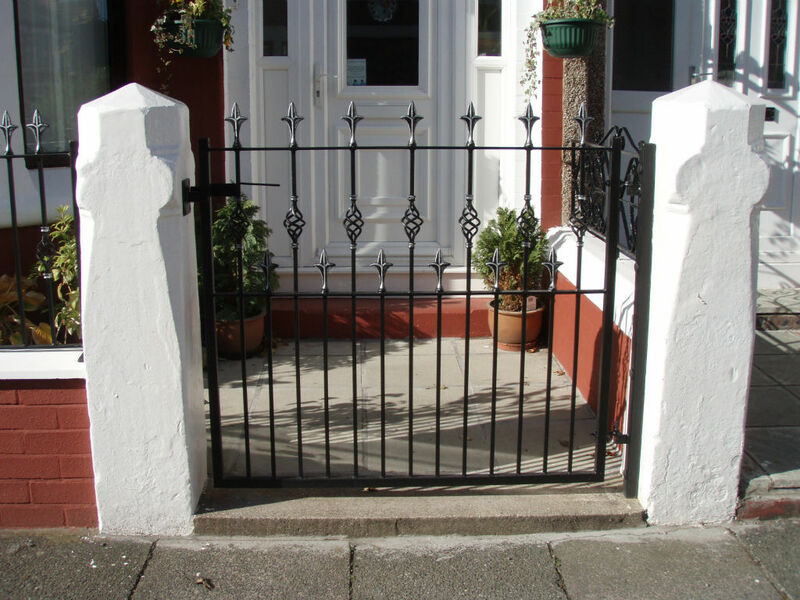 Looking for quality iron gates or railings on the Wirral? Contact Renroh for your free quote today on 0151 691 2043. 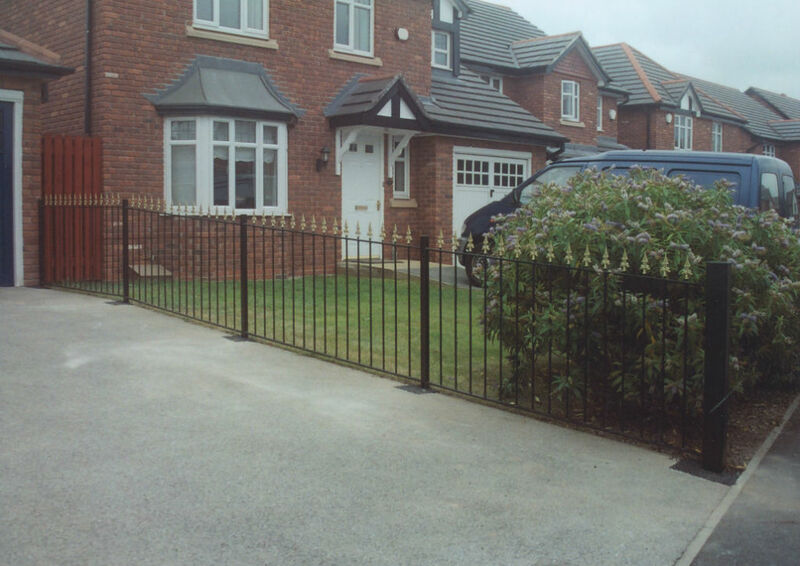 Renroh Engineering is a long established family run business operating from the Wirral Peninsula providing wrought iron gates, wrought iron railings and other wrought iron products and steel fabrications. 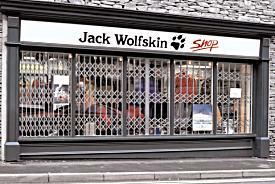 With over five decades of experience in both the domestic and commercial market sectors, we are able to offer our customers a range of products from all aspects of work, including Wrought Iron Gates in Single, Double and Bi fold styles, Wrought Iron Railings, Balconies and Handrails to Roller Shutter Door Systems and Repairs for Domestic and Commercial customers, Retractable Security Grilles, Steel Doors, Perimeter Fenceline Systems, Mesh Pond Covers, On-site Welding and General Steel Fabrications. We are members of the Wirral Trader Scheme which is an initiative of Wirral Council Trading Standards Business Approval Scheme which is also supported nationally by the Local Authority Trading Standards Services and the Office of Fair Trading. Wirral Trader Scheme members have been vetted by Trading Standards’ officers who are confident that the traders on the Scheme are honest, trustworthy and reliable, will deal fairly with their customers and strive to deliver quality products and services every time. 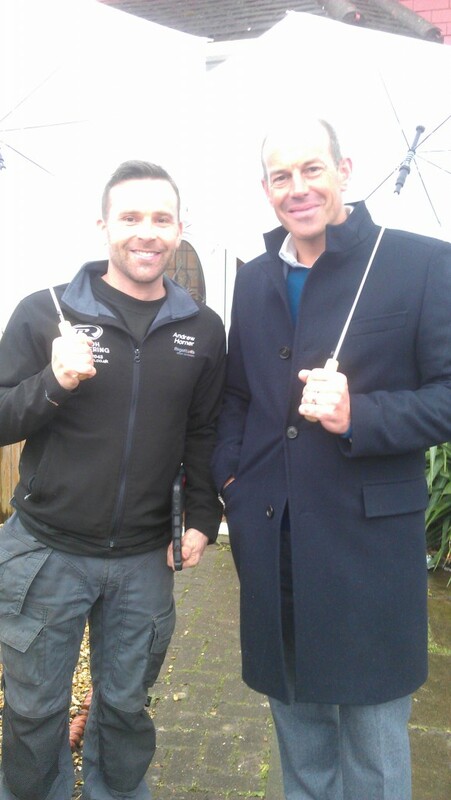 I was recently approached by Phil Spencer’s production company to film an episode of ‘Secret Agent’ where he helps people struggling to sell their homes. Phil steps in and gives advice on measures which would help improve the look of the property and make it more saleable. I was asked to give my advice on some wrought iron work at the front of the property. Meeting Phil was such a pleasure as I have been a fan for many years and it was a great opportunity to gain some free national advertising. To make an enquiry please fill out our handy contact form and we will get back to you as soon as we can. Copyright 2019 Renroh Engineering. All Rights Reserved.